La Pièce de résistance of cupcakes! The very name is luxury. I don’t do huge volumes of baking as I am firmly focused of healthy eating. 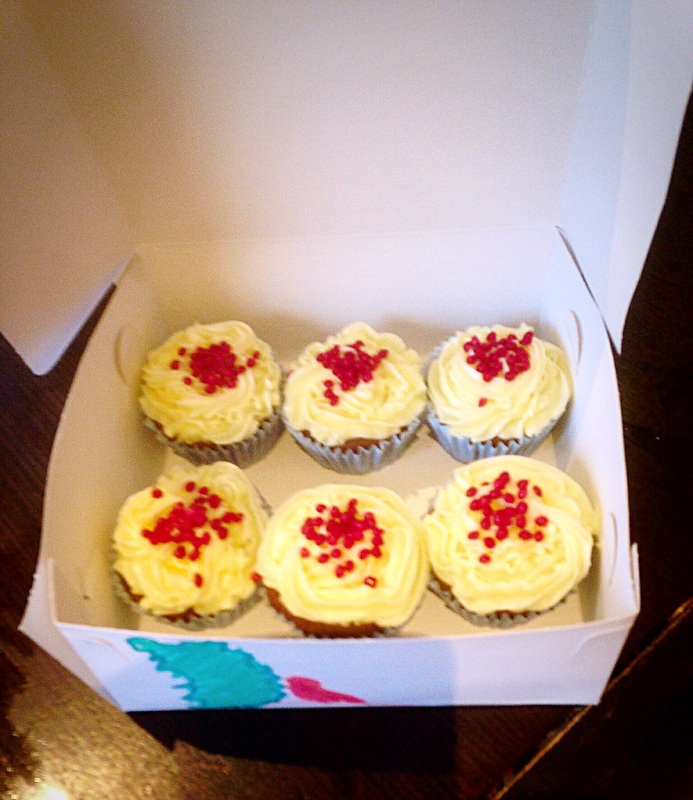 However, you gotta live a little and they were for a cake sale in my little mans primary school! Combine the flour, cocoa powder, baking powder and bicarbonate of soda and sift into a baking bowl. In another bowl cream the butter and sugar together until pale and fluffy. Best in the lush red food colouring and the vanilla. Beat this thoroughly. Now add a bit of the dried ingredients and beat again. Add another few spoonfuls of the dried ingredients. Combine thoroughly. Add another egg, followed by the remainder of the dried ingredients mixing well. Lastly best in the butter milk and the vinegar and divide between the cases. Bake for 20 mins and then leave to cool on a wire rack. Ensure they are totally cooled before icing. Sift the icing sugar to remove lumps, then add to a food processor. Add the cream cheese and butter and whizz to mix. Pour in the cider vinegar and whizz again. Use a piping bag to pipe the icing nicely onto the cupcakes. You could spread it on with a small spatula or spoon. Decorate with some nice red sprinkles. Frosting can be made a day ahead and refrigerated – remove 2 hours before you are going to use it and beat again briefly.